Coalition of environmental organizations which lobbies for policies to protect environmental resources and public health, supports recycling, public transit, renewable energy, reduction of greenhouse gas emissions. Current priorities include state-wide legislation to curb single-use plastic bags. Publishes newsletters. costs of pollution, economic benefits of recycling, and job creation opportunities in renewable energy and alternative-fuel vehicles. ​NJ chapter with 20,000 members of national, member-supported environmental organization. Works on variety of topics including water, natural resources, wildlife and land related recreation, current priorities include opposition to pipeline proposals through state, reduction of greenhouse gas emissions, support of renewable energy. Publishes quarterly online newsletter The Jersey Sierran on activities and issues. Also sponsors nature outings, educational programs. Founded 1969, non-profit educational organization which promotes natural resource protection, reclamation and sustainable development, supports municipal environmental commissions established by local ordinances under state enabling legislation. Municipal planning boards include a representative of the local environmental commission. Partners with other organizations to advocate for state and regional environmental policy. Environmental advocacy project of national Environment America. Raises awareness of environmental issues through lobbying and public outreach. Recent issues include strengthening water quality regulations; opposition to Delaware Basin natural gas drilling; opposition to fracking; support of renewable energy. Formed in 1960 as Great Swamp Committee, which successfully opposed plan by Port Authority of New York and New Jersey to build jetport in Great Swamp near Morristown, subsequently supported establishment of Great Swamp National Wildlife Refuge. Raises funds to conserve ecologically sensitive lands and open space, since founding preserved over 120,000 acres, including many properties now federal, state, county or local parks. 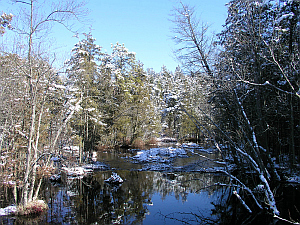 Active in Pinelands, Highlands, regional and local watershed conservation programs. Current issues include opposition to proposed pipeline routes through environmentally sensitive areas; allocation of dedicated state revenues for land conservation; and protection of existing state park resources. Part of national network usually centered on college campuses which lobbies on environmental, consumer and election reform issues. Sponsors New Jersey Community Water Watch organizing volunteers to monitor health of local waterways. Current priorities include pipeline proposals, fracking, homelessness and hunger. Goals include clean, safe and affordable water; prevention of health threatening pollution; creation of environmentally safe jobs and businesses; confronting climate change; promoting renewable energy sources. Organizes grassroots groups and coalitions to elect pro- environmental candidates and solve environmental and community problems. Current issues include opposition to proposed Exxon Bayway refinery pollution settlement; proposed pipelines through state; development of fracking. Founded 1961, promotes study and conservation of marine life and habitat, advocates and litigates on coastal protection issues. Based on Sandy Hook, but projects, other offices also in NY, Southeast. Sponsors educational programs, beach walks, canoe trips, fishing clinics, wildlife viewing. Current issues include post-Hurricane Sandy habitat restoration; Barnegat Bay and Delaware Bay conservation; opposition to offshore drilling and proposed pipelines; beach access. ​Employer-supported group part of national network of 14 EarthShare chapters in US. Solicits contributions, evaluates and distributes funds to approved environmental and natural resource nonprofit organizations. Runs fundraising campaigns targeted on corporate, federal, state and local government employees. Sponsors program for employee teams from participating companies to work on projects with environmental organizations. ​Focus on land-use planning and sustainable development, issues include climate change impacts, urban water infrastructure, open space and farmland preservation, public transit, regional planning. Sponsors annual Smart Growth awards for innovative development and conservation projects. Statewide alliance of organizations and individuals focused on environmental justice issues, particularly in impact on low-income and minority communities. Addresses statewide and local concerns in north, central, and south Jersey. Issues include air and water quality, compensation for past pollution. ​Founded in 1970s as coalition of major manufacturers, public utilities, developers concerned with impact of environmental and land use regulations on development, supports public investment in infrastructure. Issues include new investment in transportation, water and sewage systems; air quality regulation; land-use restrictions; waterway dredging and port development. ​Organized 1975 and incorporated 1983 to promote forestry and forest management on public and privately owned woodlands throughout state. Publishes annual “New Jersey Woodlands” newsletter, sponsors or co-sponsors forestry field trips, seminars, workshops and tree planting projects. Members include those in wood products industries, wildlife habitats, recreation, watershed protection, soil stabilization, and landscape beautification. Supports Pinelands Protection Act and Comprehensive Management Plan adopted by Pinelands Commission. Current issues include opposition to proposed pipeline through Pinelands; appointments of pro-preservation members to Commission; support for funding of conservation programs. Also sponsors outings, educational programs, publishes series of videos on Pinelands history and resources on its online Pinelands Channel. Promotes protection and restoration of New Jersey Highlands comprising over 850,000 acres in parts of Hunterdon, Passaic. Morris, Warren, Sussex, and Somerset counties and preservation of drinking water quantity and quality. Monitors implementation by state Highlands Council of Highlands Water Protection and Planning Act approved in 2004, issues include opposition to appointees to Council by governor viewed as pro-development; development projects with potential adverse water quality impacts; proposed compensation to landowners for alleged regulatory impact on property values. Focus on protection of resources of Hackensack River and its watershed. Conducts environmental advocacy, education and conservation programs. Sponsors nature walks, canoe and kayak trips, Eco-Cruise educational tours of River and Meadowlands. Publishes quarterly Tidelines newsletter. ​contribute to sprawl, extraction of resources, impairment of floodplains, habitats and wetlands, new and increased pollution discharges, and proposals to fill sections of River, Bay or tributaries. ​Formed 2006 through merger of non-profits Federation of Gloucester County Watersheds and South Jersey Land Trust. Works to preserve and protect farmland, open space and critical habitats in South Jersey by acquiring or managing land and by researching open space needs. Provides assistance to land owners and municipalities in preservation of farmland and open space. ​Supports protection of marine environment through education, volunteerism and political action. Focus on status of highly migratory predators (sharks, swordfish, tuna and billfish), sustainable fisheries and marine animal populations.